25.07.2015. St Petersburg, Russia. 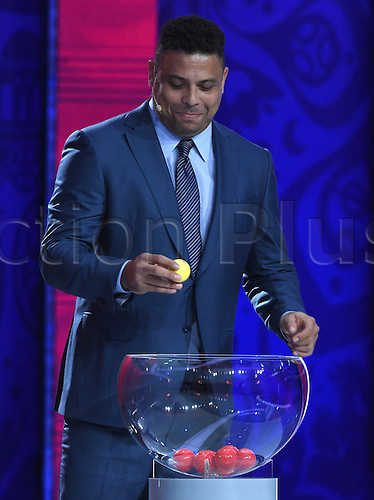 Draw assistant Ronaldo of Brazil during the South American Zone Preliminary Draw of the FIFA World Cup 2018 at Konstantinovsky palace outside St. Petersburg, Russia, 25 July 2015. St. Petersburg is one of the host cities of the FIFA World Cup 2018 in Russia which will take place from 14 June until 15 July 2018.